Free Shipping for all orders over £25 for UK babes. I'm a powerful, creamy coconut jelly that will gently wash away dirt, grime and mascara (and bad exes), cleansing you of everything other than your sins. They're all yours babe. Use morning and night for a clear, blemish free complexion. Soothe. Set. Soar. Glowing, dewy skin is my thing. Multi-tasking to the max, rose water and green tea soothe your freshly cleansed skin, niacinamide (vitamin B3) and hibiscus set your skin to perfection and a super healthy dose of 2% hyaluronic acid with glycerin hydrates and plumps your skin, refreshing your radiance throughout the day to make your skin (and confidence) soar. Swipe right and join the hydration hype. Move aside tinder, even cupid's jealous of my matchmaking skills. I'm natural, lightweight, buildable and blendable which means I reinvent my moisture levels throughout the year to matchmake your skin to it's latest fling. Say hello to fresh, dewy skin all year round. I'm the ultimate weekly treat for your skin. My muscly trio of white kaolin clay and Brazilian purple clay will deep clean the skin, minimising the appearance of pores. 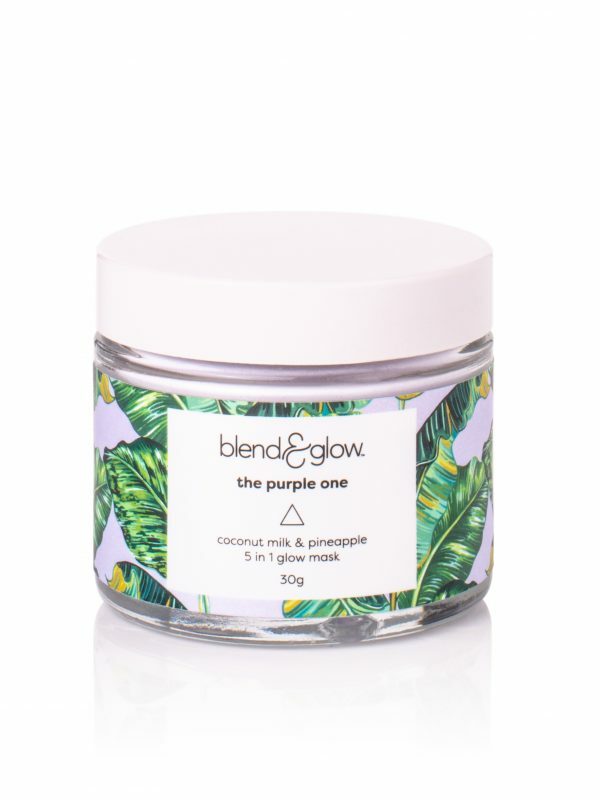 Whilst pineapple's naturally fruit enzymes, ascorbic acid and rice powder buff away dead skin cells and release your glow. Coconut milk and aloe vera will soothe your skin leaving it soft and never tight. So, no matter what you'll be glowing all year round. 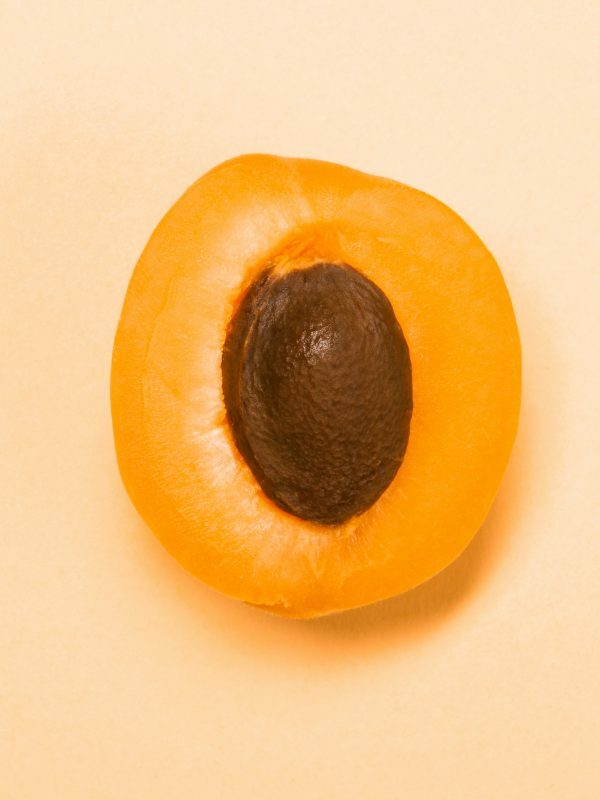 Tired, puffy, dull skin? No one needs to know you stayed up til 3am last night partying hard (ahem watching Netflix). 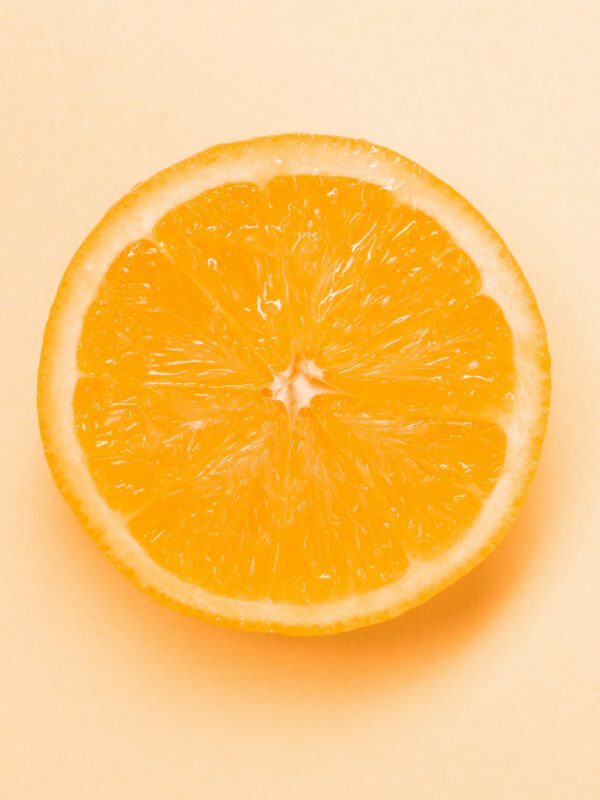 When that morning coffee just isn't cutting it, I bring the action topically with a high dose of your ultimate skincare hero vitamin C (aka ascorbic acid) to get the good stuff in and pep up your skin. Say hello to firmer, brighter and refreshed skin every morning. Bonus: I'm activated with water so you get super potent, brightening results every time. Dry, flaky skin? Breakouts? Tinder date coming up? I’m your ultimate skin line. With me you can be selfie ready every day, all year round. My powerful blend of Willow Bark (aka the original natural salicylic acid) will gently buff away dead skin, deep clean pores and even out skin tone without any irritation. It’s even better than airbrushing (maybe). Cue softer, clearer skin starting from now. I think you're perfect and beautiful just the way you are. But if you hate being reminded of acne and sun-over exposure from days gone by, I've stepped up to the challenge with a powerful blend of squalane and co-enzyme Q10 to repair and replenish your skin. 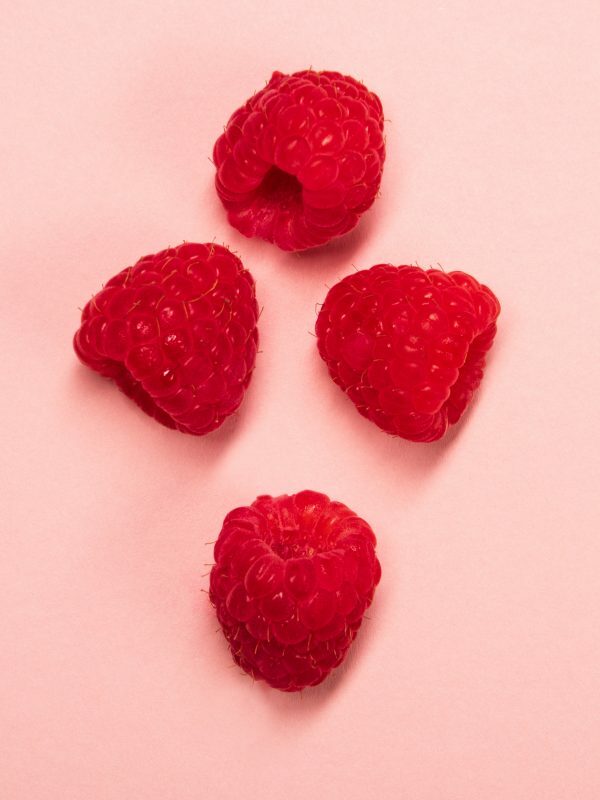 So, your skin looks healthy and at its best at this moment in time. A few things you need to know about me: I contain nuts. Dullness, dark spots, hyper pigmentation they ain’t your best friend but there’s no need to use chemical skin lighteners that don’t do your skin a whole lot of favours. Swipe left to those haters (find out more here). Naturally my fruity acids and licorice root will brighten your skin, even skin tone as well as fade dark spots and hyper pigmentation over time. City babes and party gals look no further. I’m your ultimate skin saviour. My powerful duo of green tea and gingko is full of anti-oxidants that will repair and protect your skin from the damaging effect of pollution and too many late nights partying hard. I’ll also help to lighten dark circles under the eyes as well as reduce redness and puffiness, so no need to reach for the big sunnies to hide your hangover anymore babe. Whoever said you can’t buy happiness in a bottle doesn't know where to shop. When you’re feeling blue, my powerful trio of rose, jasmine and blue tansy essential oils will ease your mind and help you remember better times. Take a moment to be calm and collected, and make way for the divine in you. 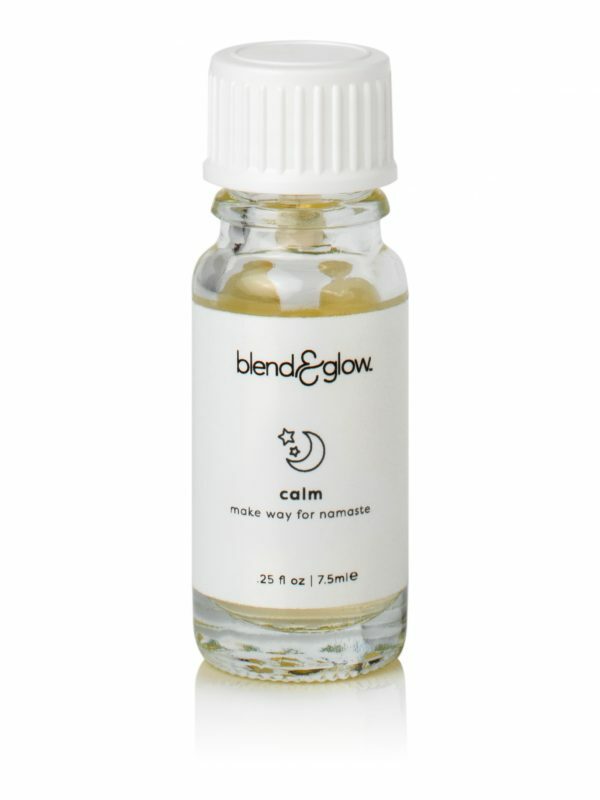 I'll soothe your spirit and ease your mind with my calming blend of rose, chamomile and lavender, so you remember to treat yourself kind. Wash away your sins and be born anew with my kindly cleansing drops. Lemon, basil and palmrosa will show you some deep loving, giving you pure and heavenly skin all year round. An apple a day is meant to keep the doctor away but when your cold kicks in I'm here to step in. 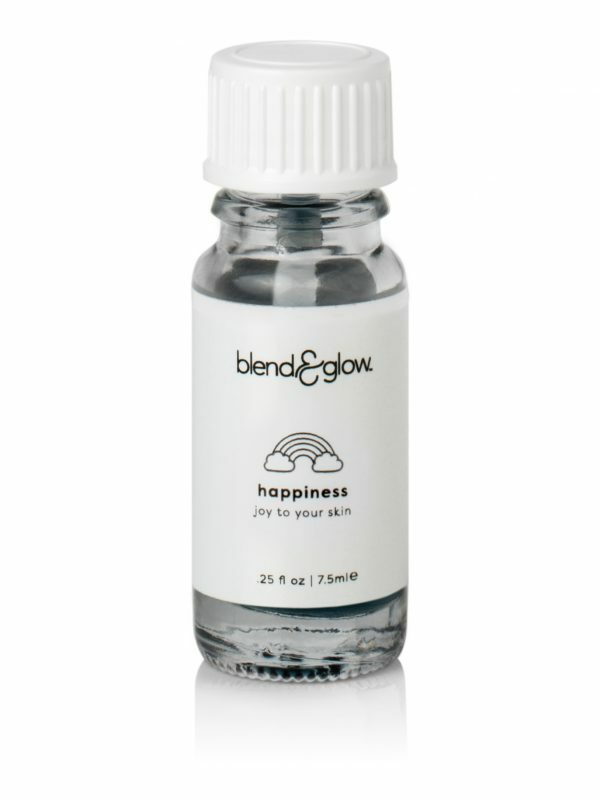 My powerful trio of ginger, lemongrass and frankincense helps to decongest and lift your mood. So you'll get your glow back very soon. I'm for every woman; a powerful, strengthening, revitalising blend of orange, ylang ylang and sandalwood that knows the true you, even if you're struggling to find it at the moment. I'm your fearless food of peppermint, patchouli and bergamot that will stimulate and refresh your skin right down to the soul. Ready for the day? Let's go babe! I have to admit I was skeptical about how easy it would be to blend & glow but after seeing some videos on Instagram and reading some reviews I decided to give it go. I was honestly so surprised on how simple and quick it is to blend everything. All the products have icons on the label and come with recipe cards that have a step by step guide of what to do. It’s not added any time to my routine, instead I feel that I’m getting so much more for my money. I no longer have to buy a separate exfoliator or day and night moisturiser – I can personalise my products each day by adding different ones together. Only thing I would say is that I don’t like the smell of the calm mood food as I don’t like lavender so I won’t choose that one next time. Apart from that the whole box is amazing! My winter skin saviour! I love the well jel cleanser, it removes my makeup really well and it doesn’t strip my skin like other cleansers have done in the past. Plus I love how everything in the box is multi-tasking and can be blended together. My winter box fav is the charcoal and pumice powder I add a scoop of the powder to 2 pumps of cleanser to make a really nice creamy exfoliator – it’s really helped me to get rid of dry, flaky winter skin. Was really hoping I would like it but I don’t. I love it. This crate is so cost effective, you get 15 different blends in your box that can all mix together to make different treatments depending on what your skin needs. All the products are absolute beauties. I love mixing the purple clay mask with coconut milk, even skin tone and happiness. It leaves my skin feeling super soft and hydrated. I wish that the moisturiser had a SPF built in though, hopefully they’ll add this in the future and then I’ll give it 5 stars. I came across blend & glow on facebook and when I read reviews and saw how natural the products are and how much you get in your box I decided to sign up. I’m so in love with the packaging. The box with the hearts on the side is super cute and looks great in my bathroom. Well jel cleanser is the first cleanser that really feels like it takes off all my make-up in one go without my skin feeling dry and tight afterwards. 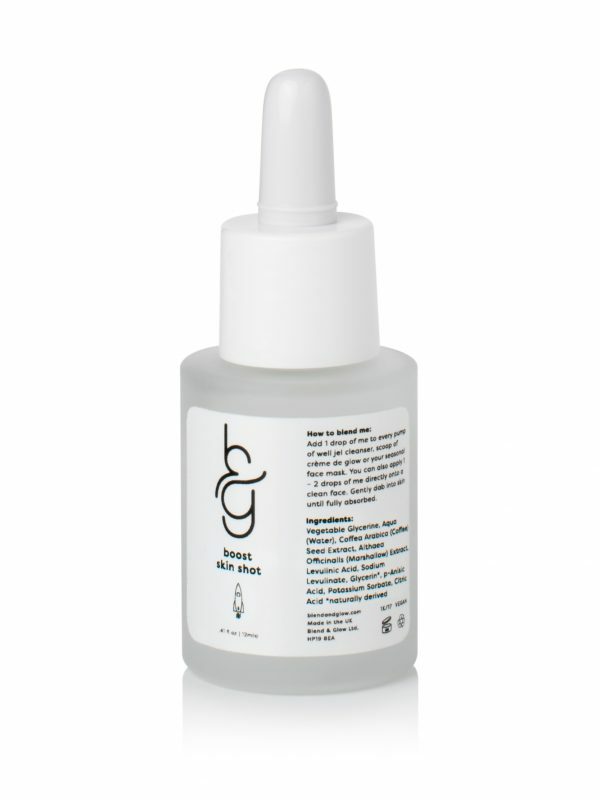 The toner is really refreshing and the moisturiser feels so luxurious to use. All three of them together mixed with my skin shots and mood food leave me feeling soft, clean and hydrated. Love the mask and exfoliator powder too. At this point, I can’t imagine not using them daily. I very rarely give reviews but I can honestly say this is the best skincare that I’ve ever used. I have pretty sensitive skin that gets random clusters of pimples. 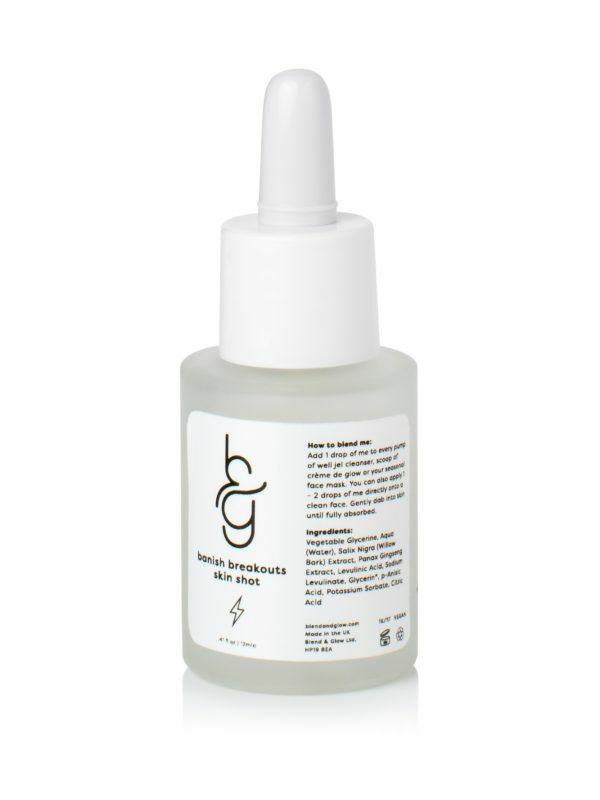 I wanted something that was natural but effective and this certainly is – no parabens and nasties. I got it yesterday and after my first use I fell in love. The jelly texture of the cleanser and creamy moisturiser is so soft and nice on my skin. It’s so simple to blend to. The one thing I would say is that the toner doesn’t spray as a mist yet. There was a little card in the box along with some cotton pads saying they are working on it for the Spring box. I personally prefer to use a toner that sprays as a mist so I can apply throughout the day and use it to set my make-up so look forward to this being fixed. I only heard about blend & glow a couple of months ago, but I saw a 15% offer, so I decided to try the winter skincare crate on a whim after reading some reviews and falling in love with everything the brand stands for. I was prepared to maybe not enjoy the blending part of the products but I LOVE everything about it. The packaging looks amazing, I’ve put the box in my bathroom and it keeps everything all in one place. The recipe cards tell you exactly what’s in the products and the instructions were easy to follow. I love shaking the bottles to blend the products. 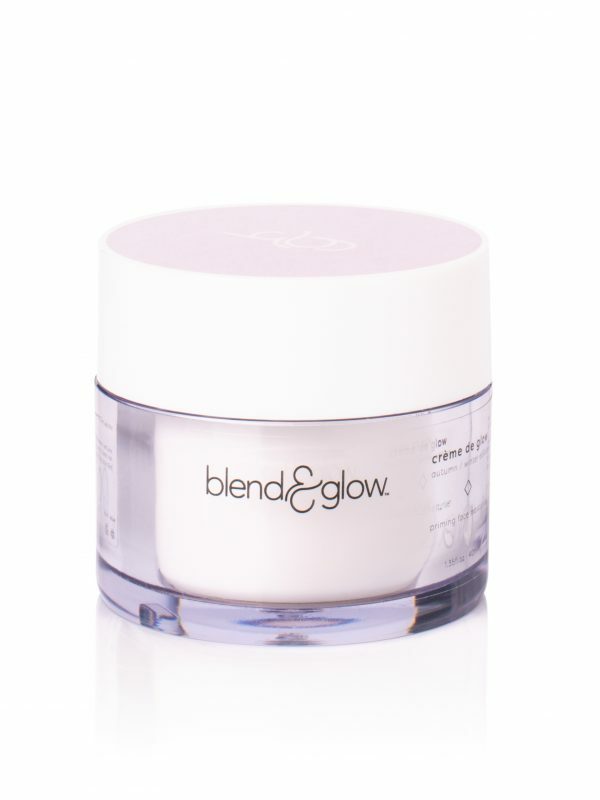 The products when blended are fantastic and leave my skin feeling so soft and hydrated. I particularly love the well jel cleanser – it smells of coconut and takes off all my make-up (even my stubborn waterproof mascara). The only downside I would say is the mood food bottles – it takes a couple of shakes for the oil to come out. I will definitely buy a Spring box, and would 100% recommend it. I heard about this from a friend and I loved the idea of a skincare routine that is personal to me and this certainly did not disappoint. These products are literally amazing. So natural, smell gorgeous and my face has never felt so soft and radiant. And don’t even get me started on the packaging and the rose gold face mask. I’ll be ordering the Spring box! First B&G order! I’m loving the packaging, simple but cute. 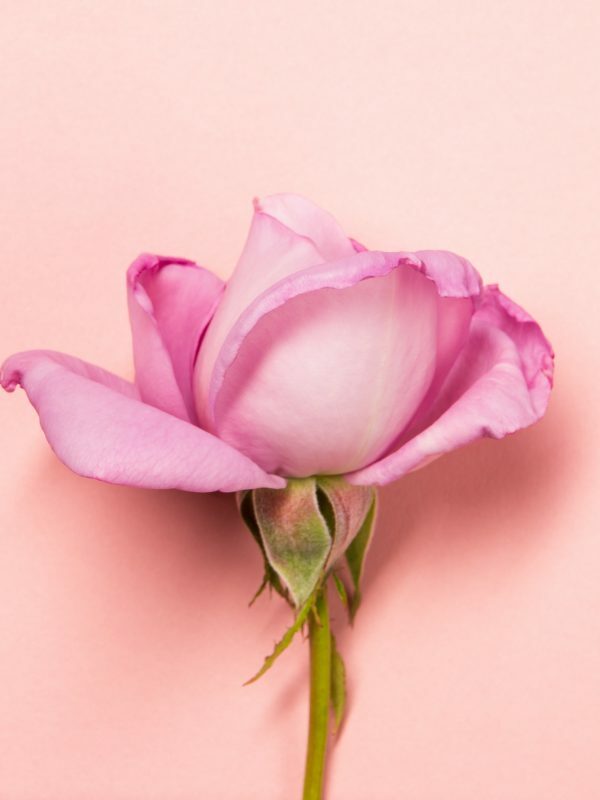 I’m allergic to anything with rose and lavender; it breaks me out in eczema but what I love most is you choose what blend you add into your products so there really is something for everyone. No compromise here. I’m in love with the energise mood food and well jel cleanser. It leaves my face feeling all tingly in the morning. The moisturiser leaves my skin feel hydrated and soft and the purple mask is so nice. That colour is amazing! My pores are less visible and I can’t get over how soft my skin is. I’m always one to try something new and when I came across blend & glow on instagram I just had to buy it. I’ve never seen anything like this before – a personalised skincare line that you can mix different blends together not only for the season but also each day depending on your skin and what mood you’re in. After creating my winter crate it arrived within 2 days. I loved the super cute crate box packaging and the recipe cards. Plus the rose gold face mask brush that’s a really nice bonus as it makes it so easy to blend the face mask. The products did not disappoint either – my skin is loving it so far. Can’t wait to see what ingredients will be inside my spring crate. OMG! I love this brand! Let me just start with, I’ve NEVER spent more than £50 a year in my whole life on skincare products. But lately I’ve been paying more attention to what I’m putting on my skin. I heard about blend & glow through a friend who told me how fab the products are – the fact that the products are personalised and that her skin was glowing made me take the plunge. I’m so glad I did. This is well worth the £75 I paid. You get so much in a crate and don’t even get me started on the products. The cleanser leaves my skin soft, not tight and smells naturally of coconuts. 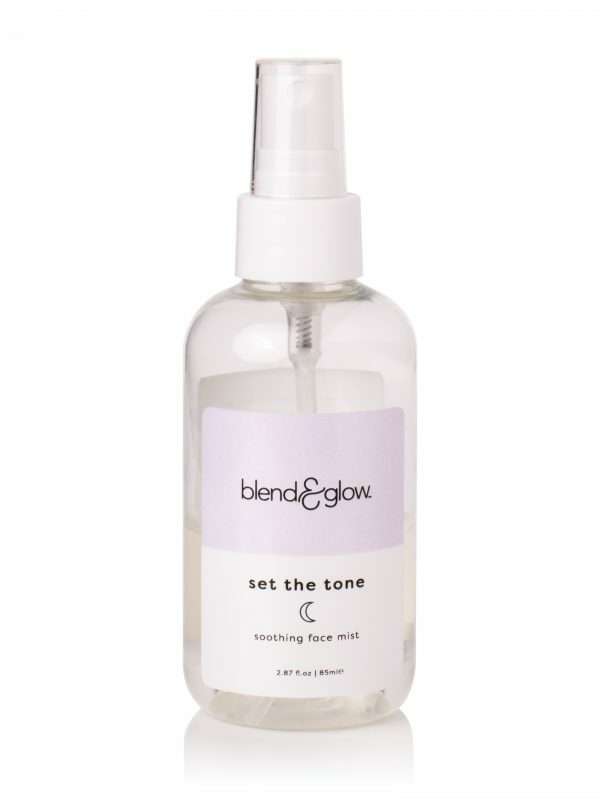 The toner is super refreshing and hydrating and the moisturiser is soo creamy and luxurious but melts right into my skin. I was surprised how quick and easy all the products are to blend and I LOVE the fact that I can change the scent of my products and add skin shots on a daily basis to personalised my products. If you’re on the fence, then I would say go for it! Really loving the winter crate, and I’m enjoying playing around with all the combinations from my skin shots and mood foods. I’m usually bad at taking my make up off at night, but the novelty of the personalisation has me hooked so it’s working out even better for my skin! It even smells great with all the natural ingredients, each time I kiss my boyfriend he keeps telling me my face smells nice lol! After 2 week of daily use, I have to say I’ve found my skincare soulmate. 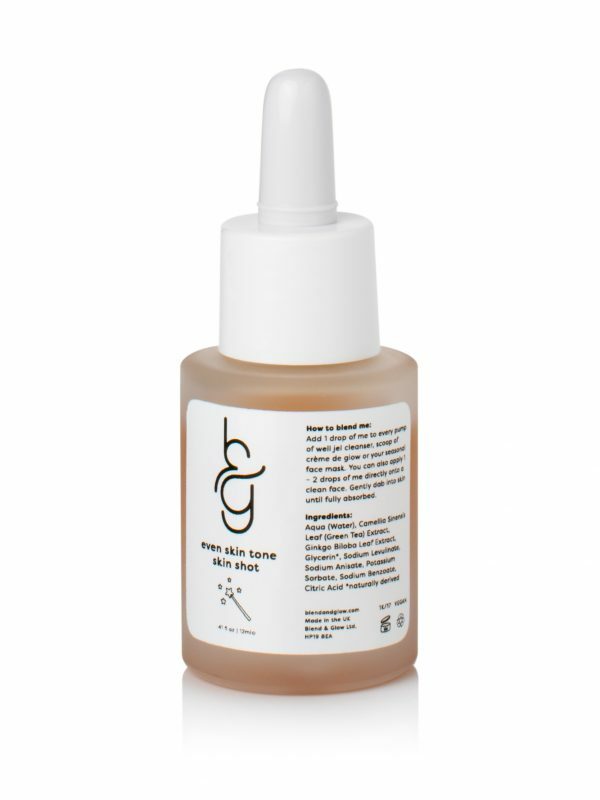 There is nothing out there like B&G. I love that I don’t have to buy lots of different products I literally just add different blends together to make another product. The moisturiser is a real game changer for me. I suffer from dry skin but always find other moisturisers too heavy. This is certainly not, it feels thick and creamy but absorbs into my skin quickly. Perfect Packaging, Incredible Instructions, Sublime Service and Fabulous Feeling! What more could you ask for? I love the seasonal crate. I purchased these products wanting a complete change in my regimen, as I get bored with the same things. I don’t see myself getting bored with this. LOVE that you can blend different products together and I’ve really noticed a difference in my skin since I’ve started using this. This is the BEST skincare I’ve ever used. My skin feels soft, fresh, clean and it really keeps my spots at bay. Definitely recommend! This is my first time repurchasing any skin care item because I like trying new things but I just can’t live without these products. 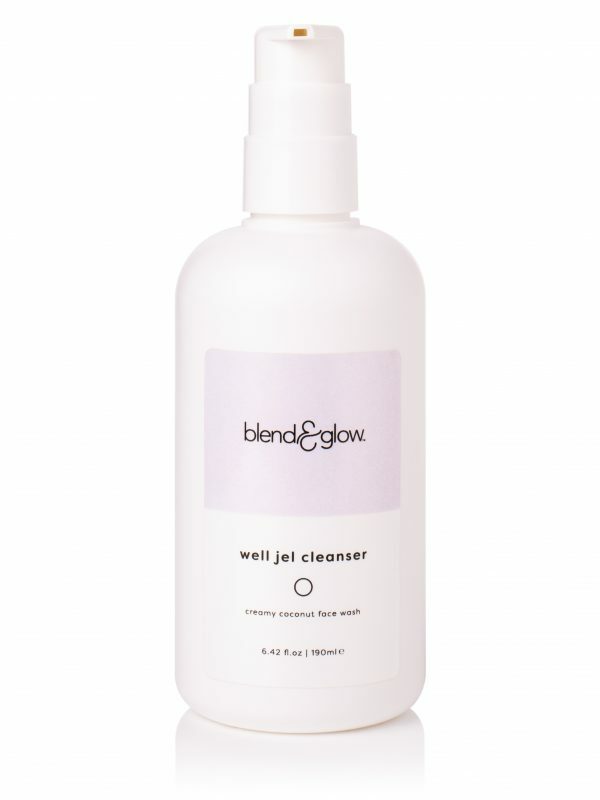 I love the well jel cleanser and set the tone and creme de glow is just what i need in my routine. It’s fun mixing in the skin shots and mood food. Everything smells so fresh and leaves my skin soft and glowing. by tailoring your crate to your skin. Pick ONE sentences, that sum up most how you are currently feeling? Pick your ONE fave scent at the moment? What are your THREE biggest bugbears about your skin at the moment? Taylor Swift is not the only gal who deserves a beautiful posse so come join ours.